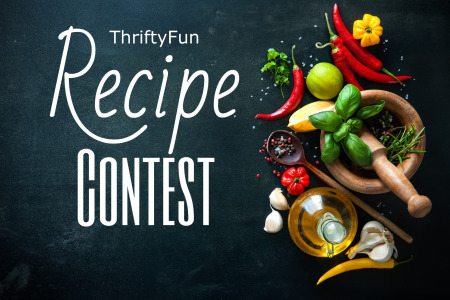 Share Your Recipe Contest Try our new form! One clear high resolution photo is required for us to publish your submission. You will receive $5 if your published recipe includes 1 or 2 photos, including a photo of your finished recipe. At the completion of the contest, we award 2 $50 prizes to the 2 best recipes, chosen by our editors. Generated 2019/04/25 17:45:32 in 74 msecs.